The demand for the construction industry is getting increased day by day. The urbanization is on top in this modern age where construction equipment appears to play a significant role, and thus it is of much importance. When a company learns how to get the maximum production from its equipment, it starts getting flourish rapidly. In this article, we will let you know about different uses of advanced pieces of construction equipment which mostly work as mining equipment, tunnel core drilling rig, lifting equipment and more. It involves electric shovels to extract minerals, mass excavators, diamond core drilling rig, as well as giant draglines. They are mostly utilized in civil engineering. It has the same specifications as of surface mining equipment. However, this mining equipment is used to work under various space parameters. There are also some of the advanced pieces available of the machinery including scissor lifts, scalers, as well as continuous miners. These pieces of construction equipment are used for some of the major operations which include digging, making trenches or excavation, etc. The machines included in this category require high-level od flexibility due to the limited place where they are being operated. Besides this, there are some other kinds of construction equipment, having different uses. They include dredges, excavators as well as trenchers for setting underground cable networks and facilitating sewer systems as well. When it comes to creating holes in the earth surface, measuring lengths, rocking drills and locating configurations, drilling equipment is considered as one the best options. 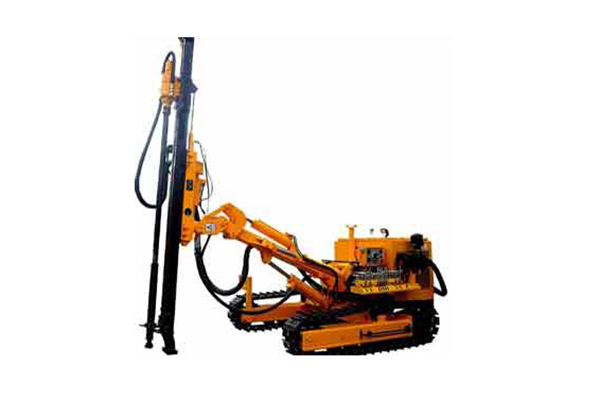 It works for underground core drilling rig and serves hole drilling in tunneling and mining. The drilling equipment can also be used for drilling water wells, natural gas extraction or oil gas. As you know that the construction industry is concerned with lifting material, other equipment, and people, there are different kinds of specialized machines available for this purpose too. However, some of the lifting operations can be performed by excavators. These machines are designed with different features and capacities which are at particular heights and the speed of the wind. The boom trucks, man lifts, and forklifts, and cranes are popular. When you construct a railroad, the use of highly specialized equipment and machinery is required. Furthermore, you consider many other factors such as cargo, passenger transit, power consumption as well as safety, and for these purposes equipment will serve you rightly. The common machinery falls in this category includes ballast regulators and tampers. The former helps distribute the gravel under the lanes. While the latter one is there to make the railway lane more reliable and durable. Furthermore, it facilitates the best track alignment.